Asha Rao started her academic career as an Associate Lecturer at RMIT in 1992, rising through the ranks to become Professor in 2016. She is currently the Associate Dean of Mathematical Sciences within the School of Science at RMIT University. 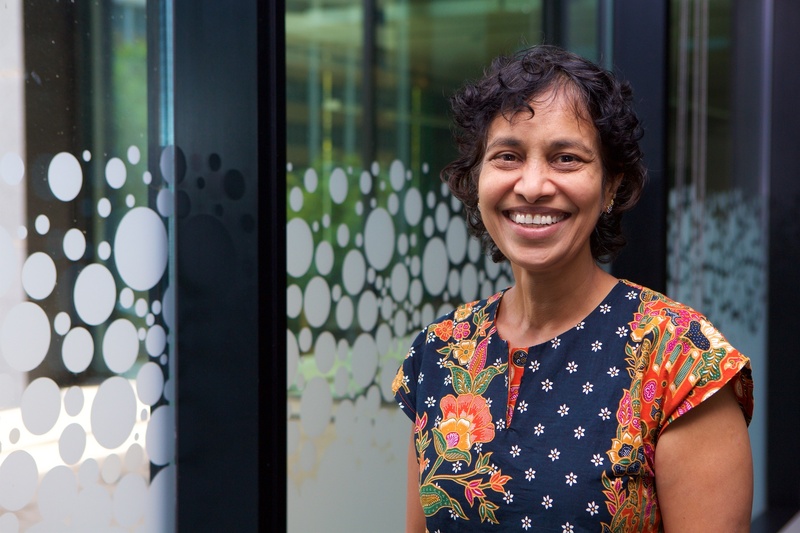 Asha is a trans-disciplinary researcher with a number of diverse research partnerships, ranging from mathematics and communication technologies to social media and architecture, resulting in highly ranked publications and over $1.5M in funding over the past 8 years. The impact of her research in risk which addresses issues such as fraud and money-laundering has resulted in invitations to participate in national and international bodies. In early 2018, she attended, by invitation, the 4th United Nations Intergovernmental meeting on cybercrime. She has undertaken Leadership roles both within RMIT and outside. As Program Director for Information Security, she brought management and business into a mainly technical degree, making many links with the cyber security industry. As the founding chair of the Women in Maths, she put in place a number of initiatives to improve gender equity within the mathematical sciences. As a cybersecurity expert, she appears regularly on audio visual and print media and has won RMIT Media star awards.